Living in Marin, we are lucky enough to have access to a variety of different environments: from Berkeley to downtown San Francisco, there is a new place to explore every day of the week. As students, we are often bound by busy work days and may not have much time to explore the greater Bay Area. With these coffee shops and libraries, you can hit two birds with one stone and explore a new place while still fulfilling your responsibilities as a student. 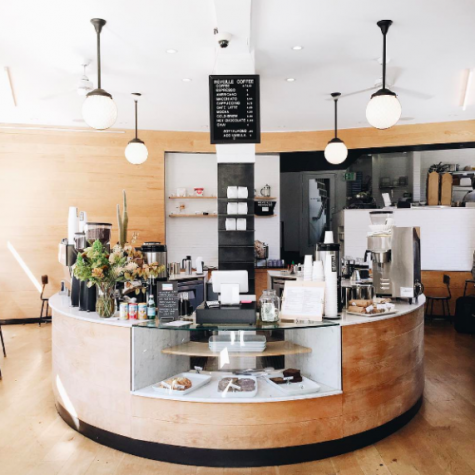 Hidden in Downtown San Rafael, Fox & Kit is a quiet and modern coffee shop that serves as a quintessential spot for getting some work done. A bright-colored couch and array of indoor plants make Fox & Kit’s Scandinavian interior feel inviting and comfortable while the long, flat tables provide space to lay out study materials. Enjoy sitting in the cafe’s hanging chairs while reading one of the many unique coffee table books they have to offer. Tip: As Fox & Kit has no wifi to ensure a peaceful environment, it’s best if you bring work that can be completed without a computer, such as a hand-written English response or math worksheet. Starbucks is an often overlooked location for studying—with its commercial vibe and large crowds, it can seem less peaceful and more for just a quick stop. However, the Starbucks in Larkspur Landing encompasses all of the features that I would usually look for in a study space. From the incredibly fast wifi and handy charging ports to the large windows for natural lighting, this location is ideal for long hours of studying. Grab a ham-and-swiss croissant warmed up with a chai tea latte for an added bonus to your study time. Tip: Because of the large crowds on weekend mornings, this location is best to study at after school or on weekend evenings. Although the San Anselmo and Corte Madera libraries offer some space, they can often feel small and have sterile, fluorescent lighting. The Marin Civic Center Library is arguably the best designed in Marin—high ceilings, skylights and enormous tables make it a prime location to complete work peacefully and comfortably. A perk? The building was designed by Frank Lloyd Wright, one of the most prominent architects of the 20th century. It also features beautiful green lawns where deer often graze in the spring, making for spectacular views from the library windows. Tip: This library is best if you need to stay later at night to study; it’s open until 9 p.m. on most weekdays, which gives ample time after school to get work done. A beautiful interior and delicious food make this spot a go-to if you’re looking for a day of studying with friends. Grab a cheap slice of pizza for $3 a slice after 6 p.m. any day of the week and grind out some late-night studying before heading back to Marin. 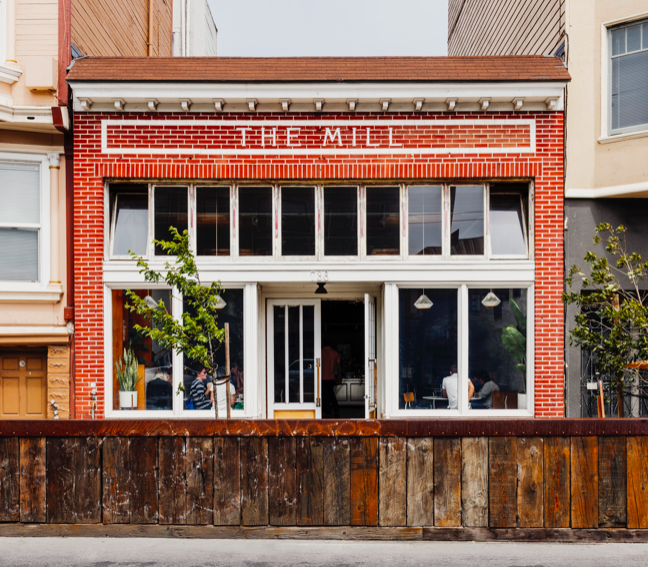 Due to the frequent crowds, finding a seat at The Mill can pose a challenge, but it’s an ideal place for the student who wants to snack and group study. WIFI? No. Similar to Fox & Kit, The Mill is best for a study group that doesn’t need wifi. What to order: Pesto & Cream Cheese Mountain Rye Toast with pine nuts and a latte. Verve is the best option if you’re looking for a change of scenery and distance from Marin. Its sleek design make this location a superb place for students looking to study. On any given day, Verve is filled with students from UCSF or UC Berkeley, creating an energetic and focused atmosphere, prime for working. Although the table space is limited, people often move around quickly and simply waiting a few minutes will guarantee you a spot. What to order: An iced latte with added flavor. 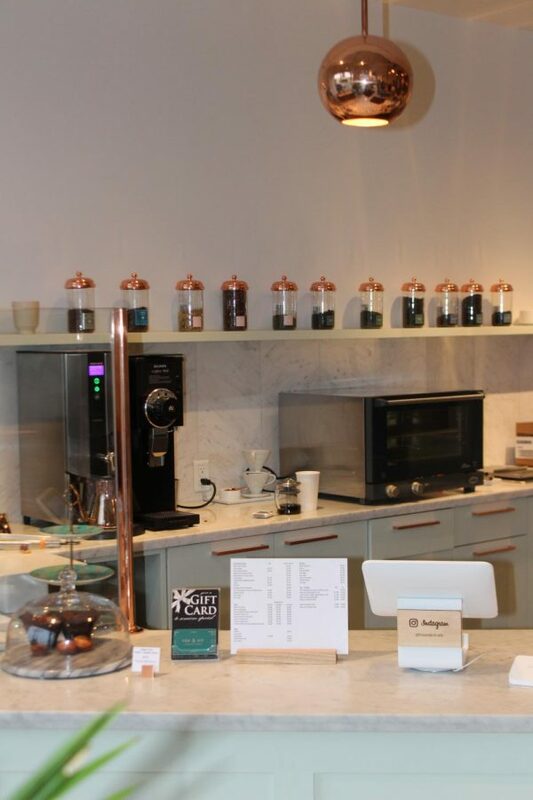 Flavor is Verve’s signature sweetener that makes for some of the best coffee in the Bay Area. Tip: To find free street parking, Sanchez Street or the Whole Foods Parking Garage are your best bet. There is also street parking on Market Street for $1.50/hr. The UCSF Library is an often overlooked spot within the city that offers incredible views of San Francisco in a tranquil environment. Open to the public from 8am to 6pm, the library is a fitting place to study during the weekend, finals or before an exam. One of the best features of this location is the view—from the top floor, there is an unobstructed view of the Golden Gate Bridge. If you are easily distracted by the noise of coffee machines or others’ conversations, steer clear of the coffee shops and head to this library for dead silence. Tip: If you have one, bring an extension cord for your computer charger as the outlets are far from the walls. For free street parking, try the residential neighborhoods—parking on 6th and Judah has seen success from frequent library goers. Picture courtesy of Reveille Coffee Co.
location are Reveille’s best features—the small interior makes for a cozier environment while its huge windows help open up the space to not feel claustrophobic. Located in the heart of Berkeley, 1951 Coffee is a student-oriented coffee shop perfect for a weekend day to park your computer and study. The enormous flat tables give enough room to spread out your computer, notebook and pencils without feeling conscious of the person next to you. Because this coffee shop is almost always filled with students, you’ll feel right at home and be put into the study zone. 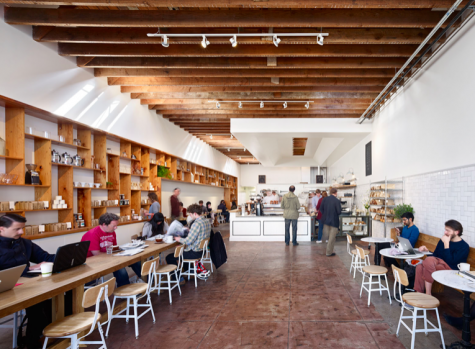 Although 1951’s coffee airs on the bitter side, the study atmosphere is one of the best in Berkeley. Tip: Street parking is generally expensive in Berkeley—be sure to bring lots of coins for $3/hr rates at a meter or park in the parking garage nearby for a cheaper rate. Free parking is not available near this location.